We supply Love Smoothies market leading frozen pure fruit sachets for our events in London. These are the highest quality fruit mixes using whole fruit where possible which has been picked when at it's best then IQF frozen to keep it in that perfect state ready for you to bike and blend a smoothie of the highest quality. We use a range of innovative recipes that are exactly the same as the smoothies you will find in many leading cafes and restaurants, and we let you choose which recipes you would like for your event no matter how big or small the event may be. Please note outside of London we also use other suppliers of high quality frozen fruit mixes. We offer 4 sizes of smoothies.. The juice we use to blend with the fruit pouches is a quality apple juice, this complements the flavours of the fruit and delivers an excellent base to the finished smoothie and the perfect consistency. The frozen fruit and juice combination delivers an ice cold (with no ice required) drink which is packed full of nutrients and flavour as it has not been watered down in any way. It will produce a delicious and thick drink perfect to enjoy through a straw after a hard minute or so of cycling! You are welcome to provide your own ingredients if you prefer and can offer advice on what to source, and how much! 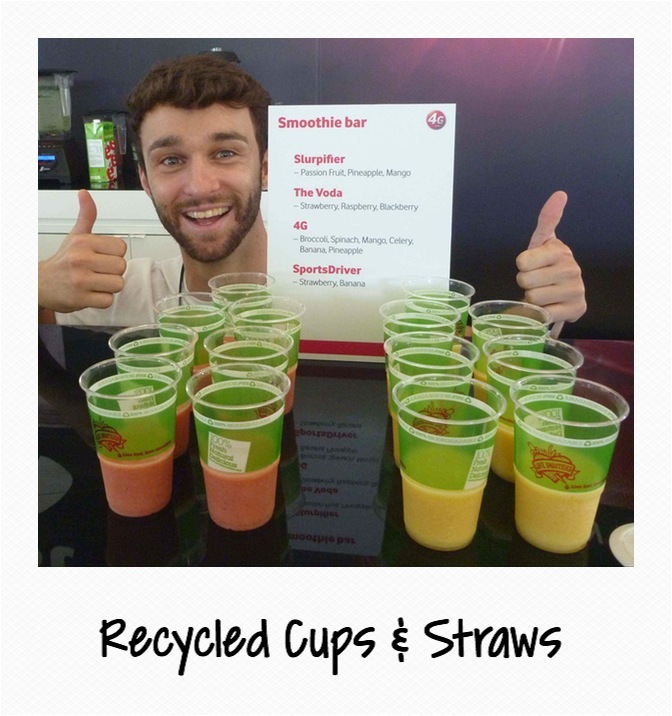 Our cups and straws are 100% recycled and recyclable so your guests can be sure once they finish their drink and place the empty cup and straw in a recycling bin, they are helping to reduce the impact of your event on the environment. Other uses besides smoothies - Cocktail time?! We have full public liability insurance for hiring our equipment and this insurance covers the use of alcohol on the blending bikes. 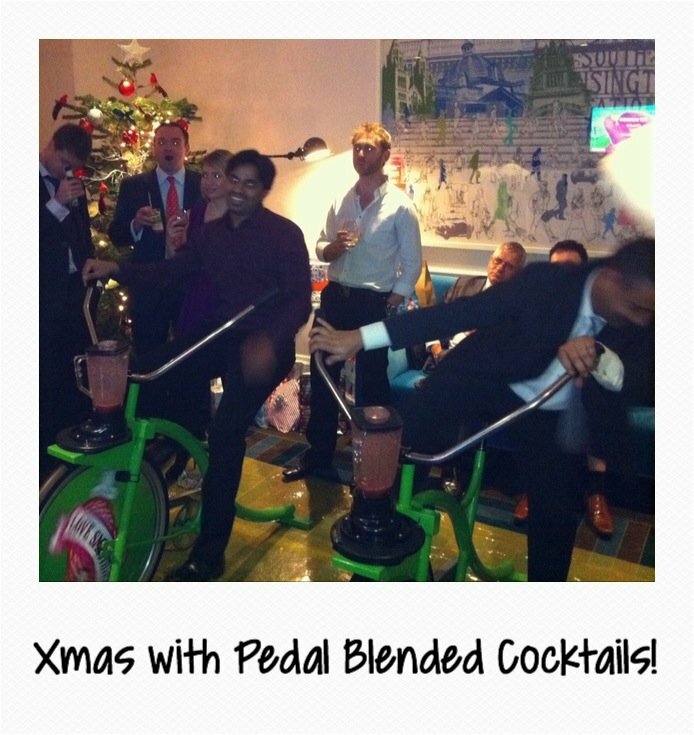 So if you are having an evening party event why not spice things up with blended cocktails produced using pedal power! Iced Tea, milkshakes and frappes are other drinks that can be produced using our ice crushing blenders. They are blender bikes not just limited to smoothies so if your event would suit a different blended drink then please get in touch and we can work with you to deliver these drinks in a new and innovative way!